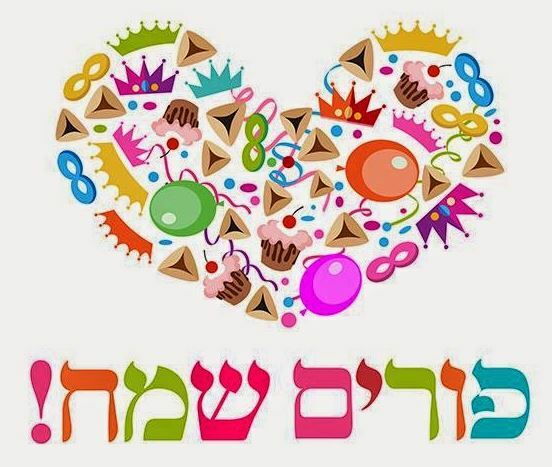 This Wednesday evening marks the start of the festive holiday of Purim. There are four central mitzvot to be done on Purim: listening to the reading of Megillat Esther, sending gifts of food to one’s fellow, giving charity to two or more people in need, and enjoying a holiday feast. In addition to these, there are two well-known and widespread Purim customs: dressing up in costumes, and getting inebriated. Although these two customs are unfortunately sometimes taken to improper extremes, the meanings behind them are quite profound. 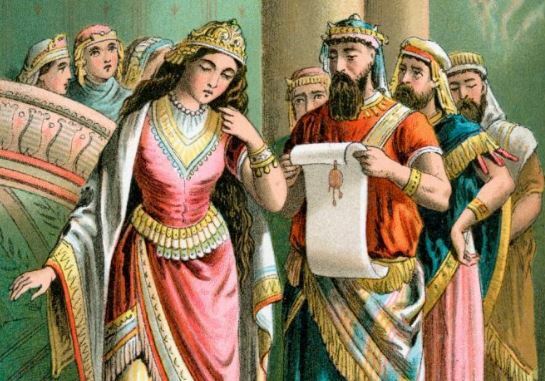 There is more dress up to follow: Haman wishes to be dressed up in the king’s robes and, in another bit of irony, it is Mordechai who ends up being costumed as king (Esther 6:6-11). The Talmud (Megillah 12a) adds that King Ahashverosh came to his banquet dressed up in the special garments of the kohen gadol, the Jewish high priest. Some are of the opinion that the reason he held the banquet in the first place was to mark the end of the prophesied 70-year exile of the Jewish people, which he miscalculated. With the Jews remaining in exile as his subjects, he felt a victory banquet was in order. Dressing up as the kohen gadol was meant to symbolize the end of Jewish hopes of returning to their Promised Land and rebuilding their Temple, with Ahashverosh himself now being their “high priest”. ‘The Triumph of Mordechai’ by Pieter Lastman (1624). Historical records from Ancient Persia show that there was indeed a courtier to the Persian king in Shushan (Susa) named Marduka. It looks like he was originally the king’s accountant. Therefore, the custom of getting dressed up and taking on a different identity is very much in the spirit of Purim. In ancient times, Purim was more specifically celebrated with a masquerade. Why wear a mask? Why hide who we really are? The truth is, we don’t just get “dressed up” on Purim. Each of us puts on a metaphysical mask every day of our lives, and we wear different masks in different settings. There is the mask that we wear at work, and the one that we have in front of our kids, and a different mask entirely when we’re out with friends. When can we really be ourselves? In yet another irony (irony is a major theme of Purim, too), we only get the chance to truly be ourselves when we hide behind a mask! It is behind a mask—when no one can recognize us—that we finally feel free to let go and be ourselves. This is hinted to in the Hebrew word for getting costumed up, l’hitchapes (להתחפש). In Hebrew, a verb that begins with the prefix l’hit (להת) is reflexive, ie. something that you do to yourself. For example, lirchotz (לרחוץ) is to wash something, while l’hitrachetz (להתרחץ) is to wash one’s self. To dress a child is lehalbish (להלביש), while to get yourself dressed is l’hitlabesh (להתלבש). The verb for putting on a costume, l’hitchapes (להתחפש), is reflexive. What does it mean when we remove the reflexive prefix? Rav Yitzchak Ginsburgh beautifully points out how it becomes l’chapes (לחפש), “to search”. In other words, l’hitchapes—to put on a costume—literally means “to search for yourself”! It is often only when we mask our identity that we can act as we truly are. This can be a powerful tool for introspection and self-discovery. It can especially reveal one’s vices, and this will hopefully allow a person to recognize what they have to work on to become a better person. On Purim, there is huge potential for real teshuva, “repentance”, like no other time. No wonder that our Sages compared Purim to Yom Kippur, and it is commonly said that Yom HaKippurim (the way it is referred to in the Torah) can be read Yom k’Purim, “a day like Purim”. Alcohol has a similar function. The result is a steady “shutting down” of more and more of the brain. Inhibition in the prefrontal cortex would cause poor decision making. Inhibition in the motor cortex would affect movement, and in the occipital lobe, vision. Speech is slurred, hearing is affected, and the more alcohol that is consumed, the more of the brain is suppressed. If a person drinks far too much alcohol it could be fatal because eventually even the brain stem, which controls vital functions like breathing, will be inhibited. The Talmud (Sanhedrin 38a) states nichnas yayin, yatza sod, “when wine goes in, secrets come out.” One can understand this statement on two levels: the simple meaning is that, as everyone knows, a person who gets drunk is quite likely to let their mouth run wild and spill their secrets. On a deeper level, “secrets” may refer not to one’s own inner secrets, but to the secrets of the Torah. One who has a few drinks, inhibits their conscious mind a little bit (maybe even stimulates the formation of some new synapses a little bit) might able to peer deeper into the Torah, revealing previously unknown secrets. 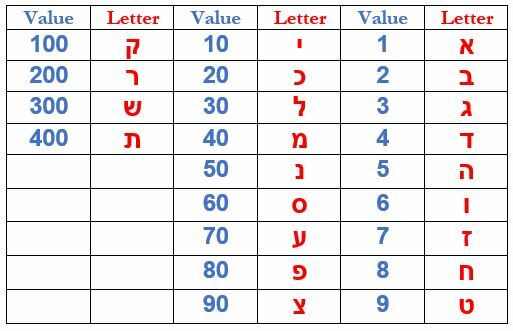 One such mini-secret is hidden within that Talmudic statement itself, where the gematria of “wine”, yayin (יין), is 70, equal to the value of “secret”, sod (סוד). Nichnas yayin, yatza sod; seventy goes in and seventy comes out. What the Talmud is saying (and what neuroscience has now confirmed) is that alcohol may lead one to think more creatively, or outside the box, or differently than the way they usually do. When it comes to drinking on Purim, the Talmud (Megillah 7b) famously states that a person should drink to the point of ad d’lo yada, “not knowing” the difference between “Blessed is Mordechai” and “Cursed is Haman”. This statement is highly problematic. One would have to be incredibly intoxicated not to know such a basic distinction, yet Jewish law prohibits a Jew from ever being so heavily under the influence. Most halachic authorities maintain that a person should drink just enough to feel soft and sleepy. So, why describe such an extreme state of intoxication on Purim? In reality, drinking on Purim isn’t at all about getting smashed to the point of losing control. On the contrary, what we should be doing is drinking just enough to allow us to see beyond. Nichnas yayin, yatza sod—take in a little to reveal those hidden secrets. The clue is in that very maxim, where “wine” and “secret” had the same gematria, 70. Now, look at “Blessed is Mordechai” (ברוך מרדכי) and “Cursed is Haman” (ארור המן). The gematria of these two terms is also the same, 502! When the Talmud states that one should drink until they can’t tell the difference, what it really means is that one should drink until they can look more acutely, and recognize that the two are numerically the same. The message is to look deeper into the text to find the secrets hiding within. That is, after all, the main theme of Purim. It is the very meaning of Megillat Esther, which can literally be translated as “revealing the hidden”. Why would the gematrias of “Blessed is Mordechai” and “Cursed is Haman” be the same to begin with? This brings us back to the first idea that Purim is about discovering our true selves. Mordechai and Haman are equal because they represent two forces which reside inside each person. There is Mordechai, the yetzer hatov, the good inclination; and Haman, the yetzer hara, the evil inclination. The two are in a constant struggle with each other, each seeking to gain the upper hand, and it is our duty to nurture the former and restrain the latter. In this verse we find the key term v’nahafoch hu, that everything was “turned upside down”. On Purim, sibru oivey haYehudim lishlot bahem, “the enemies of the Jews hoped to rule over them”, but then everything flipped around and the Jews dominated their enemies instead. The words haYehudim lishlot bahem, literally “the Jews, dominated over them”, has a gematria of 502 as well. Perhaps there is a latent message here for each of us today, all Jews, to dominate over them, our inclinations, our 502s. To learn to become fully in control of ourselves. That way, regardless of whether we are inebriated or sober, in costume or not, we will always be completely righteous and holy. This Purim, look deeper inside the text, and deeper into yourself. Drink a little and get in costume; be yourself, observe your actions and words very carefully, and aim to discover who you really are. This entry was posted in Holidays, Kabbalah & Mysticism, Personal Development, Torah & Science and tagged 502, Ad D'lo Yada, Ahashverosh, Alcohol, Brain, Costumes, Daniel, Esther, Evil Inclination, GABA, Gematria, Hadassah, Haman, Hatach, Hebrew, Irony, Ishtar, Jewish Names, Kohen Gadol, Marduk, Marduka, Megillah (Tractate), Megillat Esther, Memuchan, Mordechai, Names, Neurons, Neurotransmitters, Purim, Rav Yitzchak Ginsburgh, Repentance, Sanhedrin (Tractate), Secrets, Teshuva, Torah and Science, Vashti, Wine, Yetzer HaRa, Yetzer haTov, Yom Kippur on March 19, 2019 by Efraim Palvanov. This Wednesday evening marks the start of Purim. The events of Purim, as described in the Book of Esther, take place in the Persian Empire during the time of King Ahashverosh. Who is this king? Is there a historical figure that matches up with what we know of the Biblical Ahashverosh? And when exactly did the Purim story happen? Not long after Jerusalem was destroyed by Nebuchadnezzar and the Jews exiled to Babylon, the Babylonian Empire itself fell to the Persians. This was prophesied by Isaiah (45:1), who went so far as to describe the liberating Persian King Cyrus as “mashiach”! In one place (Megillah 12a), the Talmud states that he was obviously not the messiah—though perhaps a potential one—while in another (Rosh Hashanah 3b) it admits that he was “kosher”, and this is why his name (Koresh in Hebrew and Old Persian) is an anagram of kosher. According to the accepted historical chronology, Cyrus took over the Babylonian Empire in 539 BCE. The Temple was destroyed some five decades earlier in 586 BCE. Our Sages, too, knew that the Babylonian Captivity lasted less than the seventy years prophesied by Jeremiah. They explained that although Cyrus freed the Jews before seventy years, they were unable to actually rebuild the Temple until seventy years had elapsed. In secular chronology, its rebuilding thus took place in 516 BCE. This was in the reign of the next great Persian king, Darius (r. 522-486 BCE). His son and successor was the famous Xerxes I (485-465 BCE), or in Old Persian Khshayarsha, ie. Ahashverosh. Despite the name, many believe that the Ahashverosh of Purim is not Xerxes I. Scholars have suggested other possibilities, including one of several kings named Artaxerxes. The problem with Artaxerxes is that first of all the name does not match at all, being Artashacha in Old Persian, and second of all the name actually appears elsewhere in Scripture, in the books of Ezra and Nehemiah, as Artachshashta (אַרְתַּחְשַׁשְׂתָּא). 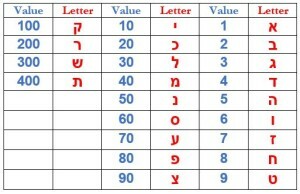 This is clearly not Ahashverosh (אֲחַשְׁוֵרוֹשׁ). Having said that, Ezra 6:14 may imply that Artachshashta and Ahashverosh are one and the same. This verse lists Cyrus, then Darius, then Artachshashta, whereas we know from historical sources that following Cyrus was Cambyses, then the more famous Darius, followed by Xerxes I. The Book of Daniel complicates things further. Daniel speaks of a Darius that conquers Babylon. Yet we know for a fact that it was Cyrus who conquered Babylon. Some scholars therefore say that Daniel is confusing Darius with Cyrus. Others say this “Darius the Mede” conquered Babylon alongside Cyrus, and this version has been accepted by many in the Jewish tradition. Later, Daniel 9:1 says that Darius was a son of Ahashverosh! 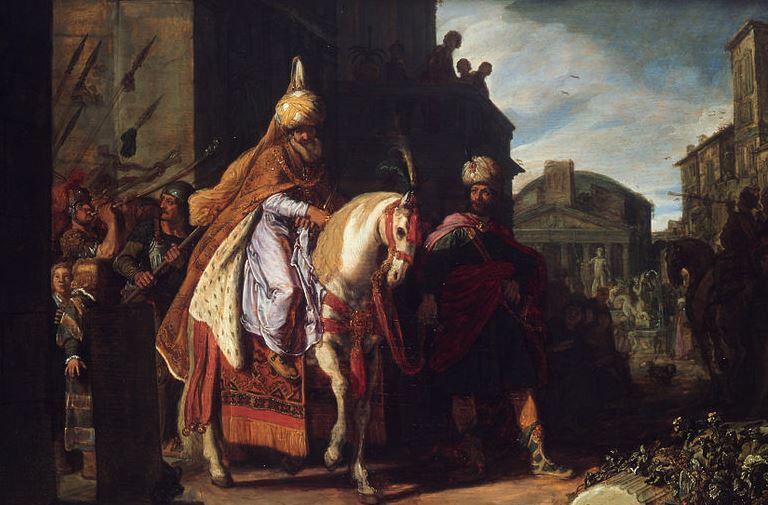 Hence, some Jewish sources state that the Persian king Darius was the son of Esther. This suggests an entirely different Darius, and historical sources do speak of three Dariuses, the last one being defeated by Alexander the Great. Perhaps the only way to find the real Ahashverosh is to ignore the other Biblical books and focus solely on Megillat Esther. In this case, the name Ahashverosh only fits Xerxes. There were two Xerxeses in ancient Persia. Xerxes II, though, ruled for just 45 days before being assassinated. That leaves us with Xerxes I. Does the Purim Ahashverosh match the historical Xerxes? Xerxes was born around 518 BCE to King Darius I and his wife Atossa, who was the daughter of Cyrus the Great. Xerxes was thus a grandson of the first Persian emperor. When Darius I died, his eldest son Artobazan claimed the throne. Xerxes argued that he should be king since he was the son of Atossa, the daughter of Cyrus. Ultimately, it was Xerxes that was crowned, thanks to his mother’s influence. This may be related to the Talmud’s suggestion that Ahashverosh claimed his authority through his wife Vashti, who was the daughter of a previous emperor, while Ahashverosh was just a usurper. Xerxes is undoubtedly most famous for his massive invasion of Greece in 480 BCE, and particularly the difficulties he experienced at the Battle of Thermopylae (where he faced off against “300” Spartans). Returning home without victory, he focused on large construction projects. The ancient Greek historian (and contemporary of Xerxes) Herodotus (c. 485-425 BCE) notes that Xerxes built a palace in Susa. This is, of course, the Shushah HaBirah, “Susa the Capital” mentioned multiple times in the Megillah. Herodotus further states that Xerxes ruled from his capital in Susa over many provinces “from India to Ethiopia”, just as the Megillah says. Herodotus also writes how Xerxes loved women and regularly threw parties where the wine never stopped flowing. Indeed, Megillat Esther speaks of the mishteh, literally “drinking party” that Ahashverosh threw. More specifically, Herodotus wrote how Xerxes returned to Persia from his failed Greek invasion in the “tenth month of his seventh year” and spent a lot of time sulking with his large harem of women. Incredibly, the Megillah also states that “Esther was taken unto king Ahashverosh into his palace in the tenth month, which is the month Tevet, in the seventh year of his reign” (Esther 2:16). This is unlikely to be a coincidence. More amazing still, among the historical records from the time of Xerxes I that have been found we find the name of a court official named Marduka. Interestingly, this Marduka is given no other titles. It isn’t hard to see the connection to Mordechai, also an untitled official in the court of Ahashverosh. Xerxes’ reign came to an end in 465 BCE when he was unceremoniously assassinated. His eldest son Darius, who should have succeeded him, was killed, too. This once again may relate to the Jewish tradition of Ahashverosh having a son with Esther called Darius. One of the greatest issues in Biblical chronology is the problem of the so-called “missing years”. As mentioned, secular scholarship has 586 BCE (or 587 BCE) as the year of the Temple’s destruction and 516 BCE as its rebuilding. Traditional Jewish dating has around 424 BCE (or 423 or even 421 BCE) for the destruction and 354 BCE (or 349 BCE) for the reconstruction. That’s a discrepancy of some 160 years! 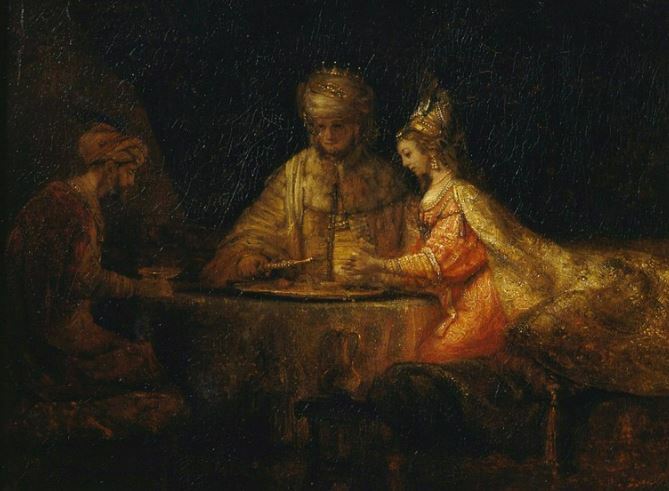 Generally, it is concluded that the Jewish traditional dating is simply wrong, as the Sages did not have access to all the historical and archaeological sources that we have today. As we wrote in the past, the Talmud and other ancient Jewish sources do have occasional historical errors, and this has already been noted by rabbis like the Ibn Ezra and Azariah dei Rossi (c. 1511-1578). Still, the traditional Jewish dating need not be thrown out the door just yet. In his The Challenge of Jewish History: The Bible, The Greeks, and The Missing 168 Years, Rabbi Alexander Hool makes a compelling case for rethinking the accepted chronology. He brings an impressive amount of evidence suggesting that Alexander the Great did not defeat Darius III, but rather Darius I! After Alexander, the Seleucids did not rule over all of Persia, but only the former Babylonian provinces, while the Persian Empire continued to co-exist alongside the Greek. Interestingly, there is another version of Megillat Esther (sometimes called the Apocryphal Book of Esther) which may support the theory. While the apocryphal version is certainly a later edition and not the authentic one, it still provides some additional information which may be useful. This Book of Esther actually says Haman was a Macedonian, like Alexander the Great, which fits neatly with Hool’s theory. Having said that, Hool’s theory is very difficult to accept, and would require rewriting a tremendous amount of history while ignoring large chunks of opposing evidence. Elsewhere, though, he may be right on point. 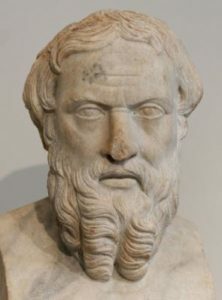 Hool suggests that Cyrus and the mysterious “Darius the Mede” are one and the same person, with evidence showing “Darius” is a title rather than a proper name. He argues that “Ahashverosh” may be a title, too, and concludes that the Ahashverosh of Purim is none other than Cambyses II (r. 530-522 BCE), the son of Cyrus. This suggestion fits well with the chronology presented in Jewish sources (especially Seder Olam) and with the Tanakh (where, for example, Darius I is the son of Ahashverosh in the Book of Daniel). It also fits with the description of Cambyses given by Herodotus, who says Cambyses was a madman with wild mood swings, much like the Ahashverosh in the Megillah. The timing is excellent, too, fitting inside the seventy year period before the Second Temple was rebuilt and while the Jews were still in exile mode. Identifying Cambyses with Ahashverosh opens up a host of other problems though. The Megillah has Ahashverosh reigning for at least a dozen years, whereas Cambyses only reigned for about seven and a half. The other details that we know of Cambyses’ life and love interests do not match Ahashverosh either. Point for point, it seems that Xerxes I still fits the bill of Ahashverosh much better than anyone else, despite the chronological mess. At the end of the day, history before the Common Era is so frustratingly blurry that it is difficult to conclude much with certainty. Without a doubt, there are historical errors and miscalculations in both secular scholarship and in ancient Jewish sources. It seems the identity of Ahashverosh and the exact chronology between the destruction of the First and Second Temples is one mystery that can’t be solved at the moment. *Perhaps Xerxes’ father Darius is the one called “Darius the Mede” (being unrelated to Cyrus). This makes more sense chronologically if Daniel was one of the original Jewish exiles, as the Tanakh suggests. The Book of Daniel should have said that Ahashverosh was the son of Darius, and not vice versa. In fact, the Talmud (Megillah 12a) admits that Daniel erred in some chronological details. This may be why the Book of Daniel is not always considered an authoritative prophetic book, and is included in the Ketuvim, not the Nevi’im. In Jewish tradition, Daniel is typically excluded from the list of official prophets. **The Talmud suggests that Vashti was the daughter of Nebuchadnezzar (Megillah 10b) or Belshazzar (Megillah 12b), while Ahashverosh was only the son of their stable-master. This makes little sense chronologically or historically. Scholars have pointed out that this extra-Biblical suggestion in the Talmud may have been adapted from the popular Persian story of the king Ardashir I (180-242 CE), which would have been well-known in Talmudic times. This entry was posted in Archaeology & History, Holidays, Mysteries & Origins and tagged Ahaseurus, Ahashverosh, Alexander the Great, Amestris, Apocryphal Book of Esther, Archaeology, Ardashir I, Artaxerxes, Azariah dei Rossi, Babylon, Babylonian Captivity, Babylonian Empire, Battle of Thermopylae, Belshazzar, Biblical Chronology, Book of Daniel, Book of Ezra, Book of Nehemiah, Cambyses, Cyrus the Great, Daniel, Darius, Darius the Mede, Esther, Herodotus, Ibn Ezra, Jeremiah, Macedonians, Marduk, Marduka, Megillah (Tractate), Megillat Esther, Mordechai, Nebuchadnezzar, Old Persian, Persian Empire, Purim, Rosh Hashanah (Tractate), Seder Olam, Seleucids, Susa, Vashti, Xerxes on February 26, 2018 by Efraim Palvanov.